Designed to work best in hot water extraction equipment, this environmentally preferred concentrate easily removes soil and helps protect carpet from future staining. 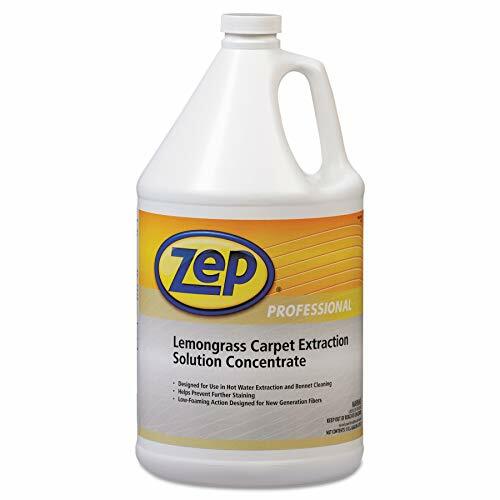 It is safe for stain-resistant treated carpets and leaves behind a light lemongrass fragrance. Designed for use in hot water extraction and bonnet cleaning. Low-foaming action designed for new generation fibers. If you have any questions about this product by Zep Commercial, contact us by completing and submitting the form below. If you are looking for a specif part number, please include it with your message.